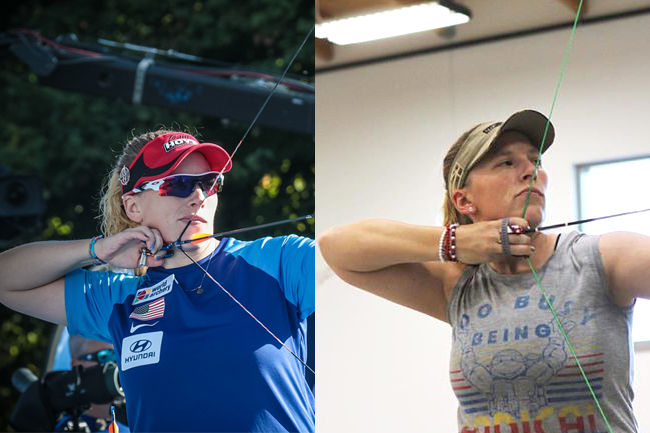 Crystal Gauvin is no stranger to the World Cup circuit; she has been consistently in contention at the top of the women’s compound division for the last few years. 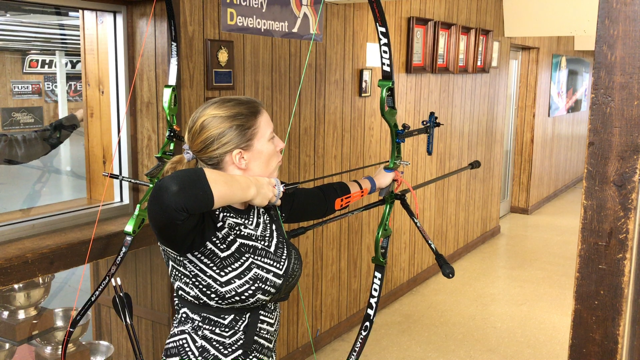 Currently ranked second in the world, she decided to make the switch to recurve. We asked her about the good, the bad and the ugly side of doing so. I think everyone knows making the switch from compound to recurve isn’t an easy one. However, in my journey from a top compound archer to a beginner recurve archer, I’ve discovered some unexpected things along the way that I’d like to share with all of you. Everyone likes to hear good news first, so let me start with the good, or the things that were easier than I was expecting. First up would be aiming/sight picture. Let me start by explaining that as a compound archer I was not one to anchor and then aim for long periods of time, making sure my dot was holding perfectly in the middle (or 10 ring for that matter). No matter how much I improved, I never had the pin sitting as still as some of the other top archers said their sight pin did. The first time I shot my recurve at a target at distance I was expecting to see TONS of movement. I figured you can’t hold a recurve as still as a compound, and I kept being warned by people that you can’t really aim with a recurve. I fully expected my sight pin to be all over the single spot, but I was pleasantly surprised when it held in the yellow, if not the 10 ring. I had always used a 6x power lens with my compound, so I realized going from such a high magnification to none, meant I saw way LESS movement. This definitely helped in allowing me to not focus on aiming, but just executing a good shot. 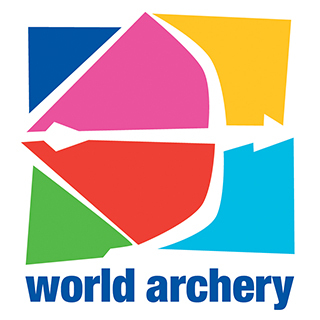 In the US, we have a recurve system of shooting known as NTS. I was more than a little intimidated by this form/technique. Leading up to my switch, I had read Coach Lee’s book on each of the steps of NTS, and I didn’t know how I was going to be able to learn them all in a week while I was out at the US Olympic Training Center. What I found when I was there, however, was the complete opposite. Instead of trying to keep track of 50 million different things in my head at once, NTS allowed me an easy, understandable way to do what I needed to do. I really think getting the opportunity to listen to Coach Lee’s reasoning behind each step made all the difference for me. I am a very logical person, and I have never done well with memorization. I can remember numbers forever (I still remember a phone number for a friend in first grade), but other than that I need to truly understand a concept to remember it. NTS, as explained by Coach Lee, was this for me. I didn’t feel like I had to memorize a bunch of steps and processes, but instead I learned the system. One final “good” is the fact that I can train literally anywhere.  Unlike compound where I really needed to shoot at a target, or at least blank bale up close (either option requiring actually firing an arrow out of the bow), I can practice with my recurve in any setting with high enough ceilings. I don’t need to be able to shoot at anything in order to keep my conditioning. A perfect example of this was my husband and I headed to his parents this Christmas. I was able to pack my bow and my shot trainer and still “shoot” every day. I would do SPTs in their living room while everyone was watching Christmas movies in the evening to help me build up my strength with the recurve. I also could shoot complete shots (with no arrow on the bow) while people were sleeping or getting ready in the morning. 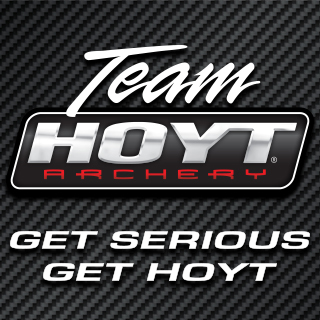 It was great because unlike in past years where I felt like I was either missing out on spending time with the family or losing valuable training time, with the recurve, I no longer have that dilemma. Next, the “bad.” I knew recurve archers build up callouses much more than compounders, but I had no idea how obnoxious they would be. Once I started shooting more than a training/light bow I quickly started to have my skin start building up on my drawing fingers. After just a week or two, I was trying to unlock my iPhone one day when I realized I no longer could use my index finger on my right hand to do this as it was no longer recognized by the fingerprint scanner. I also must be careful now when I go swimming not to rub all the skin off when it is wet. I’ve worked hard to get my callouses, I don’t want to lose them in one fell swoop by just not paying attention. Another thing I unexpectedly struggled with was the mass weight of the bow. My compound setup weighed 9.8 pounds, yet probably a 4-pound setup with the recurve felt like I was trying to lift a truck full of bricks. Having never run Vbars with my compound, I found I needed to go with longer back rods since they were now mounted off the front of the bow. However, I had to shorten my front rod. I had primarily used a 31.5” front bar, but with recurve that was just too long. I took the suppressor off the bow end of my front rod since that was a few inches long and that seemed to help. Unlike my compound, where I traditionally favored a more back heavy setup, I did find that I needed more front weight (proportionally) with the recurve. I did expect once I started increasing my draw weight, I would need to increase the mass weight, but so far, I’ve found leaving it where I have it has been good. And finally, let me wrap up with what I like to call the ugly. These are the things I didn’t expect at all, yet they give me the most headaches! Definitely item number one in this category has to be anchor location. With a compound, many of us anchor further back on our faces. I found a very consistent, reliable place to anchor when I was shooting compound, so naturally when I shoot recurve, I want to be able to anchor in the same spot. Unfortunately, I can’t. With recurve you need to anchor much more forward on your jaw. I don’t think the position is naturally what is so difficult, but the fact that it is different than my compound anchor position. I’m finding I have to retrain my body and not go to where it naturally wants to put my hand. One more “ugly” area I’ve struggle with is patience, but anyone who knows me knows this isn’t anything new. However, the difference here and why it was so unexpected was because I started better than I expected. You may think that doesn’t make sense, but let me explain. Because I shot a recurve for a short time when I first entered the sport, I expected similar results. I expected not only to struggle with the shot itself, but more than anything when I did move to a target, I expected to spray the target with my arrows. When my first night scoring I held red, my expectations rose drastically. I expected to see progress every time I shot, which just isn’t realistic. With compound, I felt like my progress overall was very linear, with constant improving. Yes, there were times when I made large improvements, and others when it was just very small, but I was never moving backwards. Recurve I am finding is very much a game of two steps forward, one step back. Having been on all World Cup and World Championship teams for the past two years, I now want to be back there with my friends tomorrow. I know this isn’t realistic, and I was very cautious in setting goals for the year to not be too aggressive, but in my day-to-day practices, I find I just want to master something NOW. 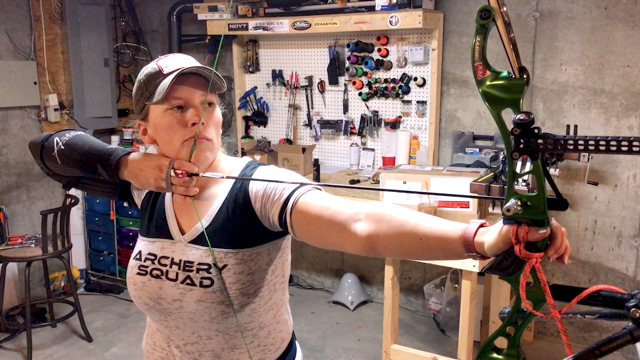 I keep being reminded how long I’ve been shooting a recurve (just about 7 weeks as I write this), and I KNOW that, but that doesn’t make it any easier!